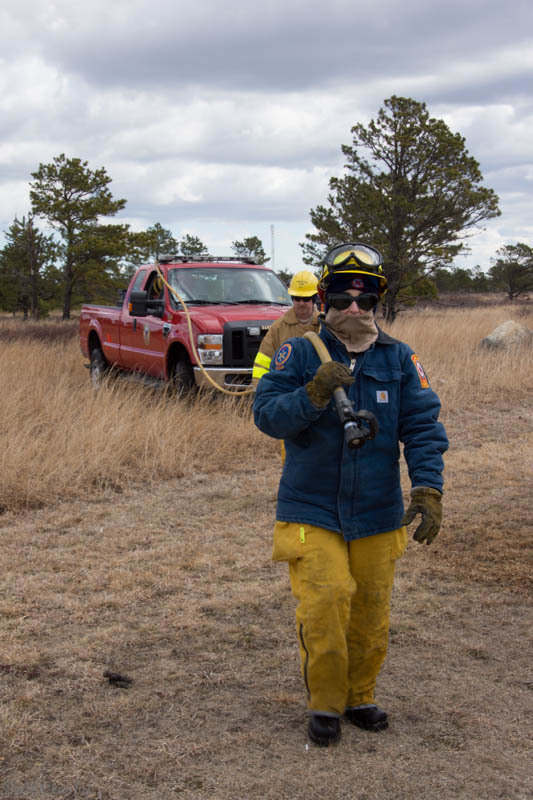 The late season snow is almost gone, which means brush season is only weeks away. 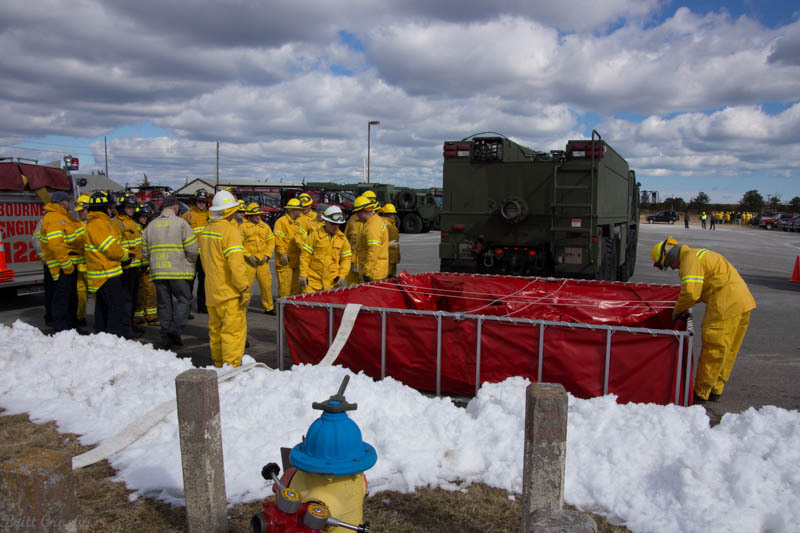 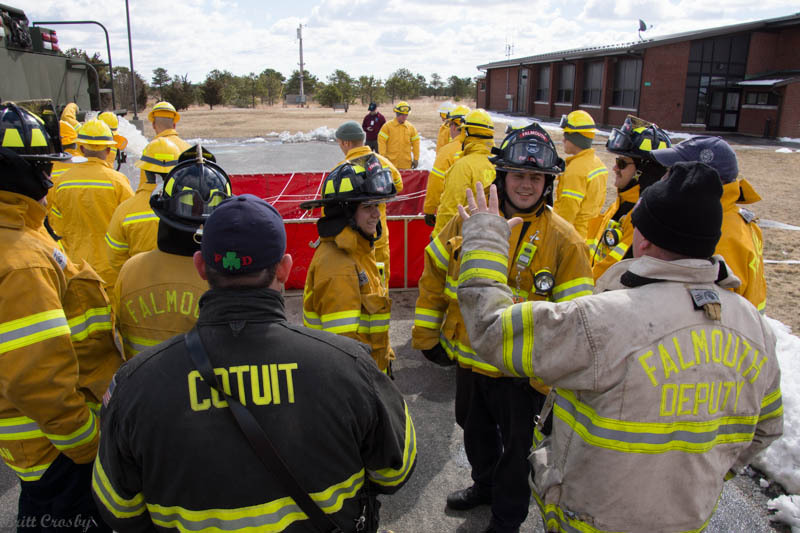 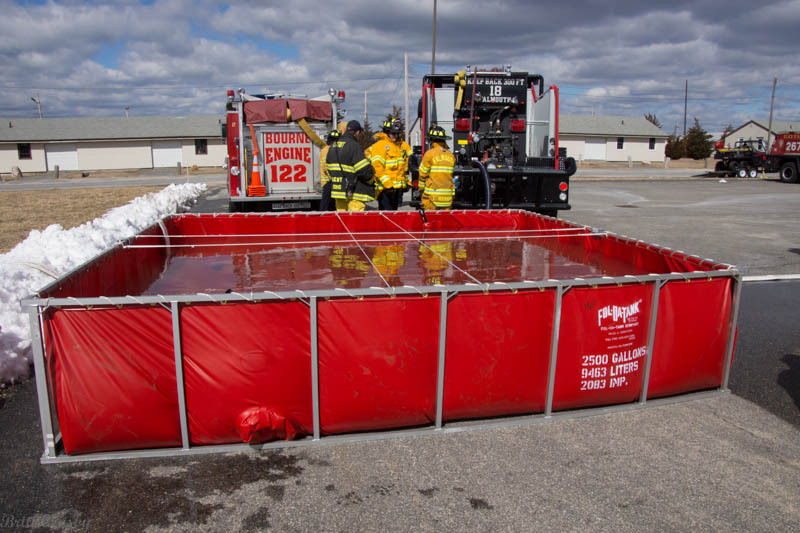 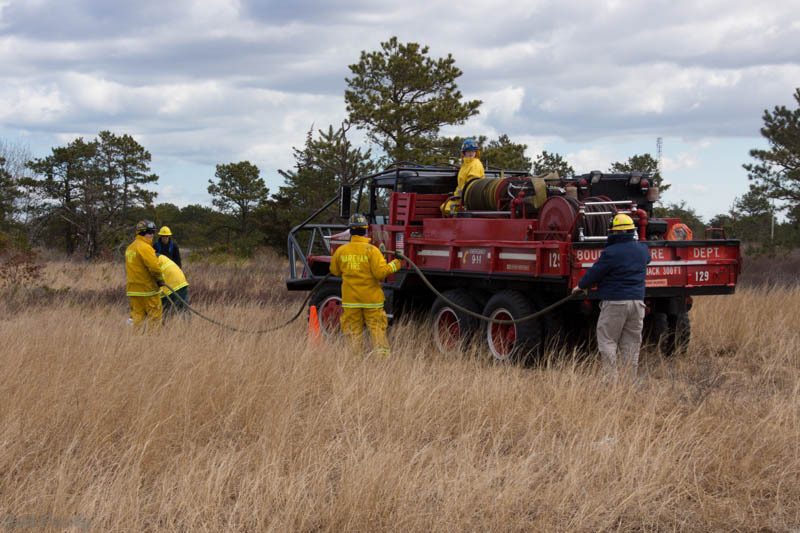 Crews from a number of Cape area departments attended the third annual Barnstable County Wildfire Training Drill held at the Massachusetts Military reservation (MMR) on Saturday March 23, 2013. 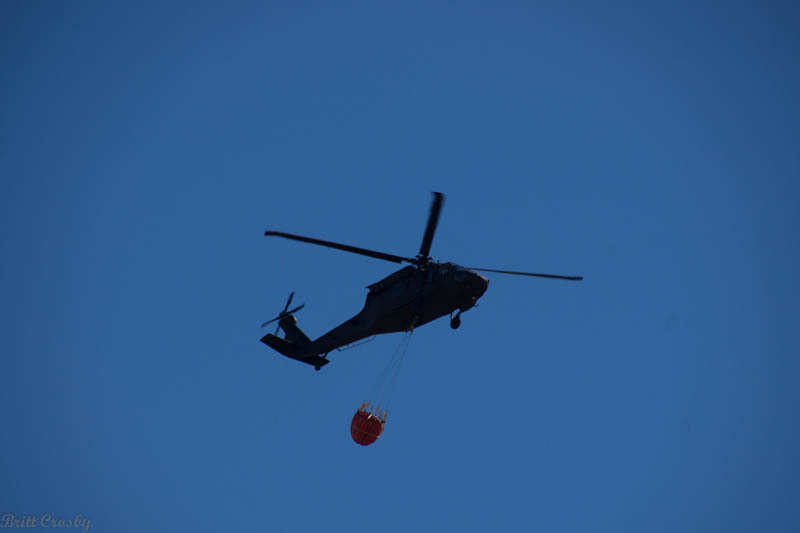 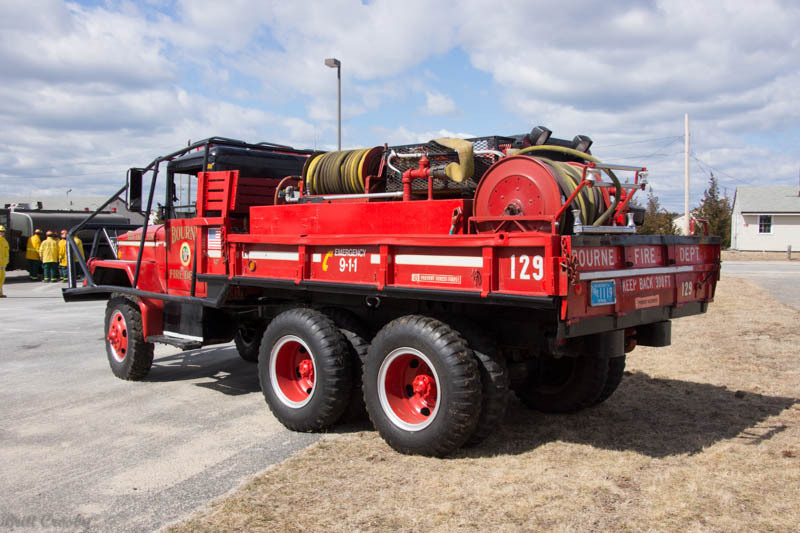 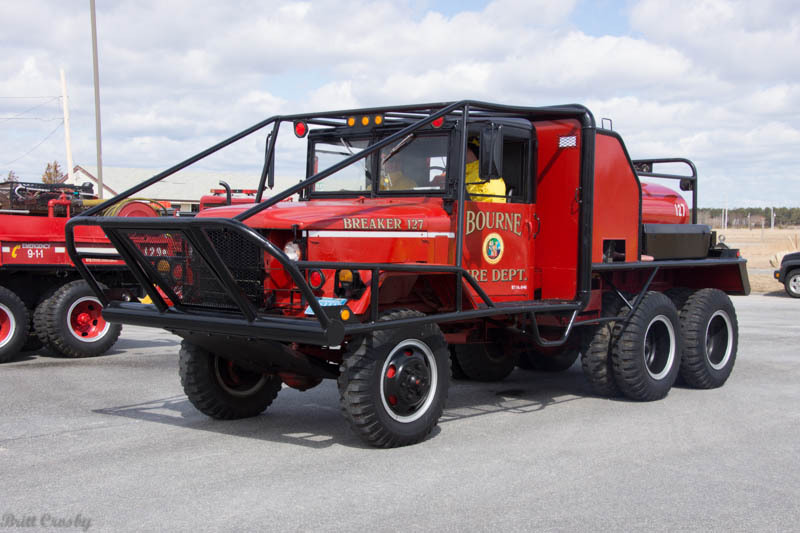 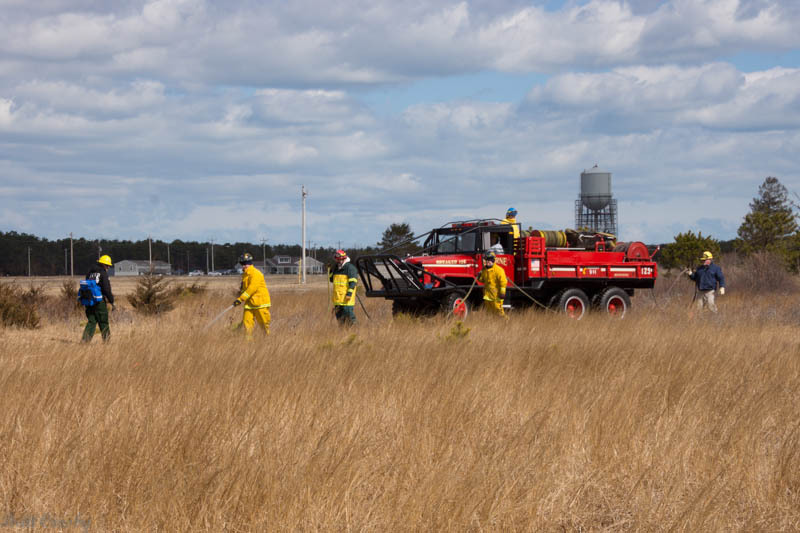 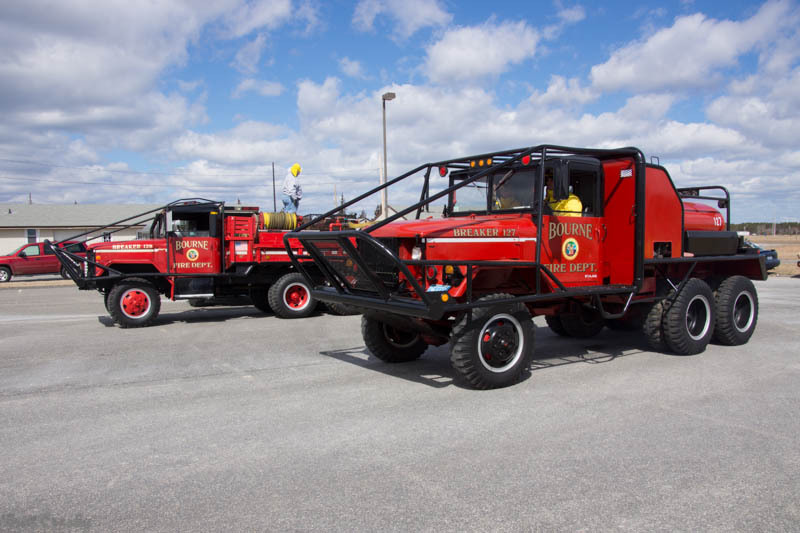 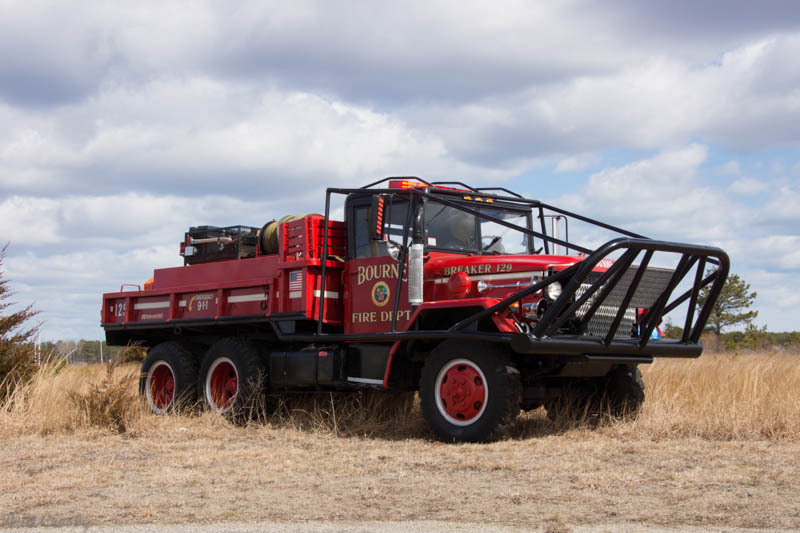 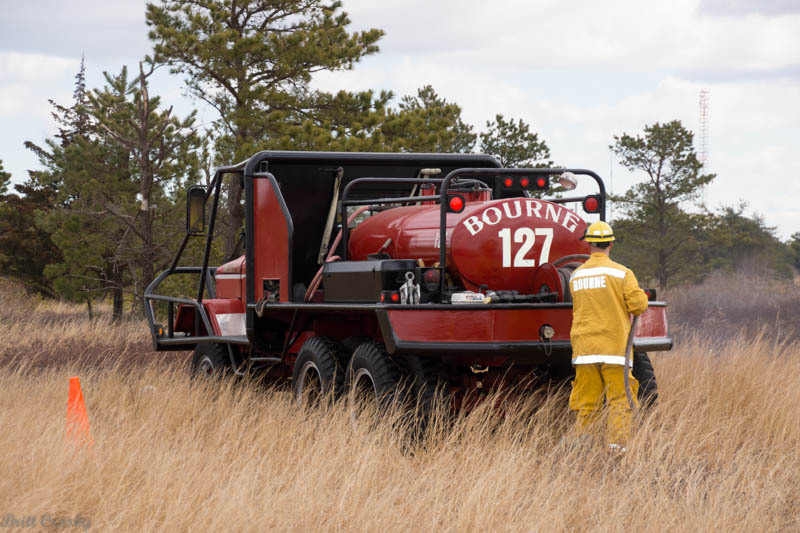 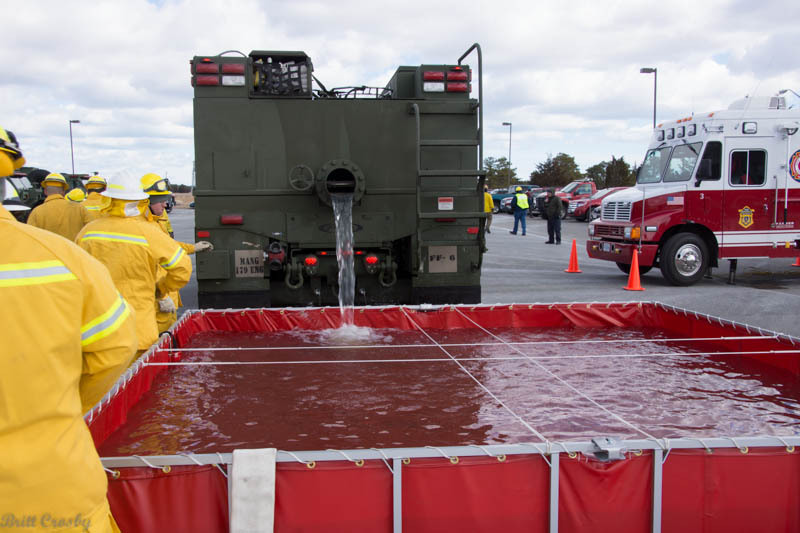 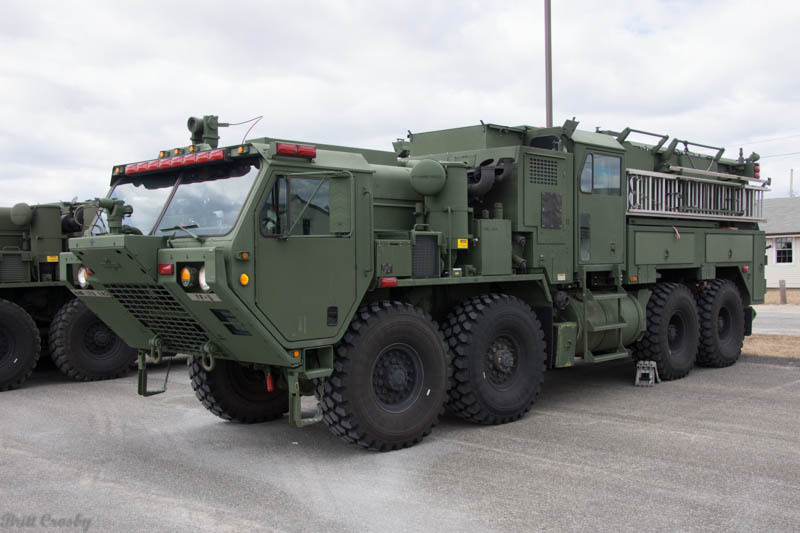 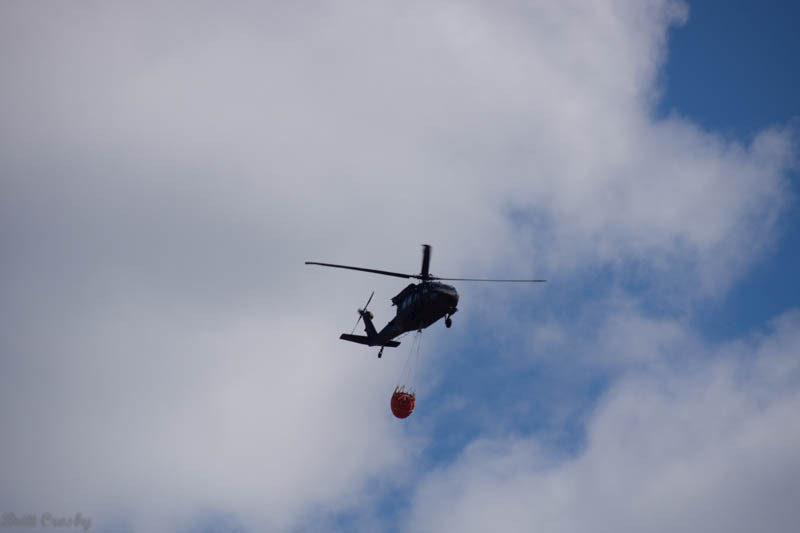 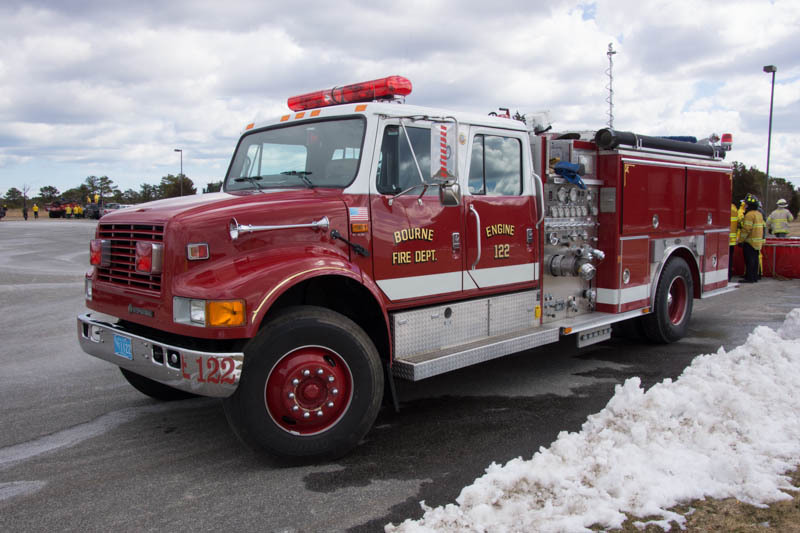 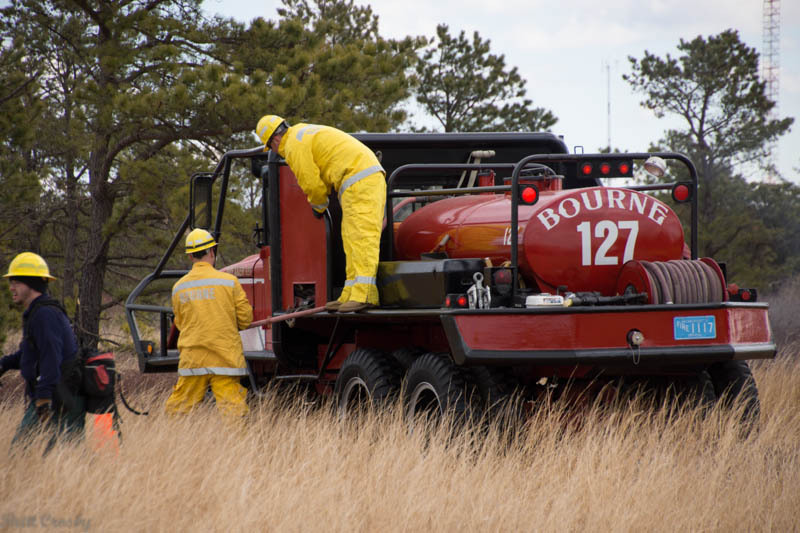 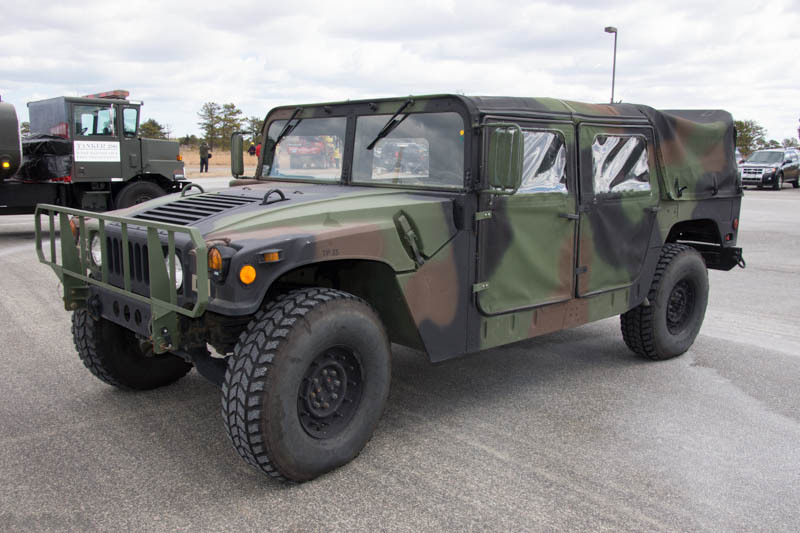 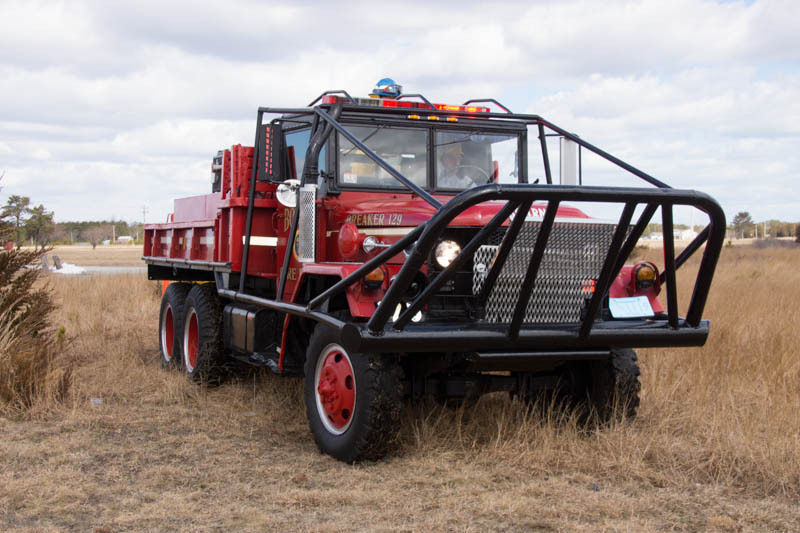 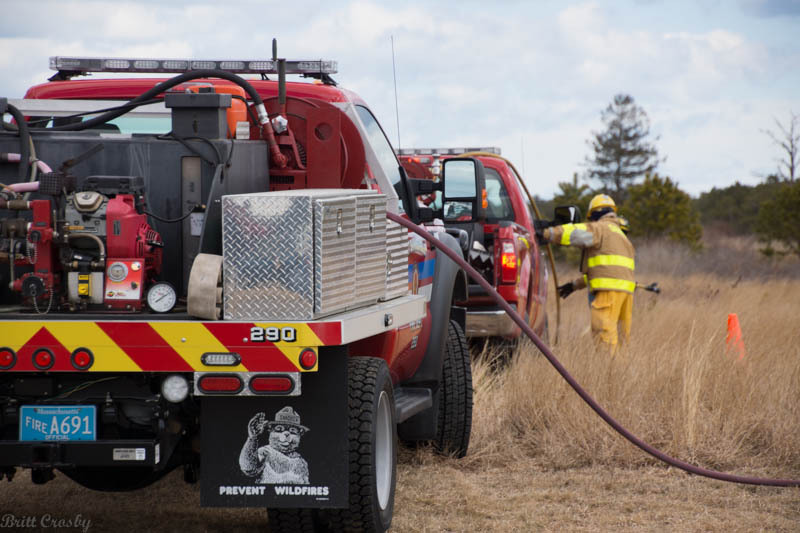 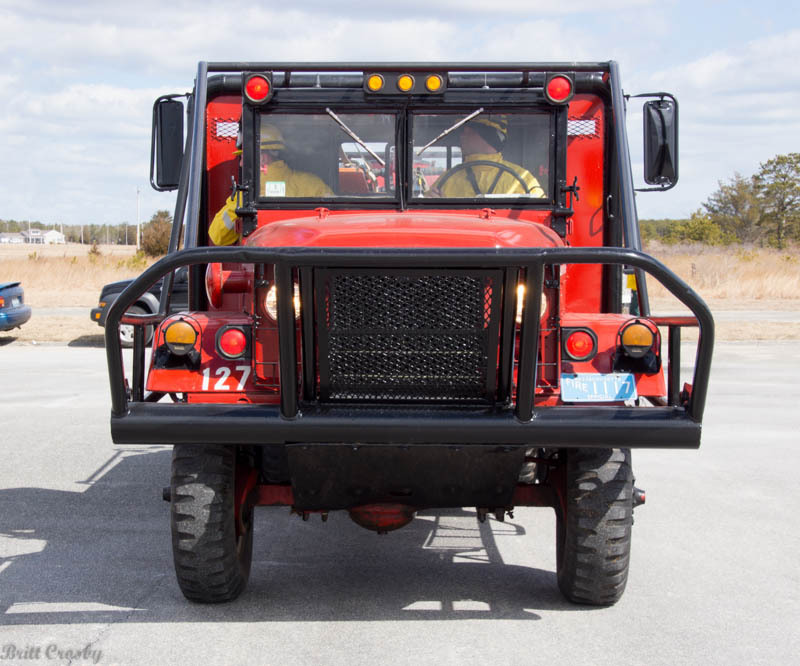 About 60 attendees brought various fire apparatus including several brush breakers, forestry trucks, tanker/tenders, an ATV, the Massachusetts Army National Guard TFFTs and HEWATTs, the Department of Fire Services Incident Support Unit 3, and a helicopter for a water drop that were all put to work. 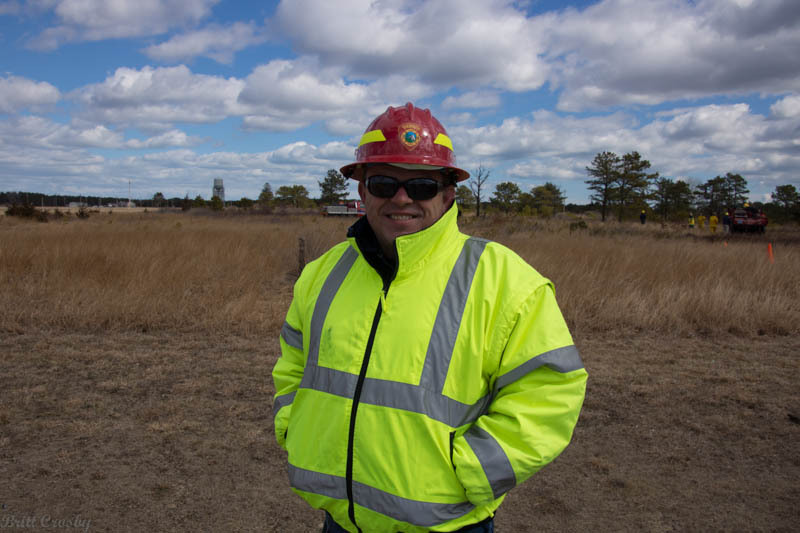 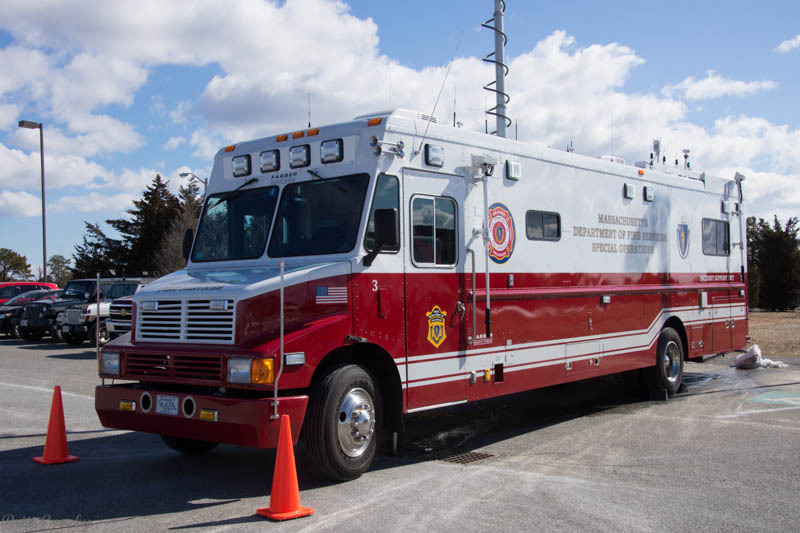 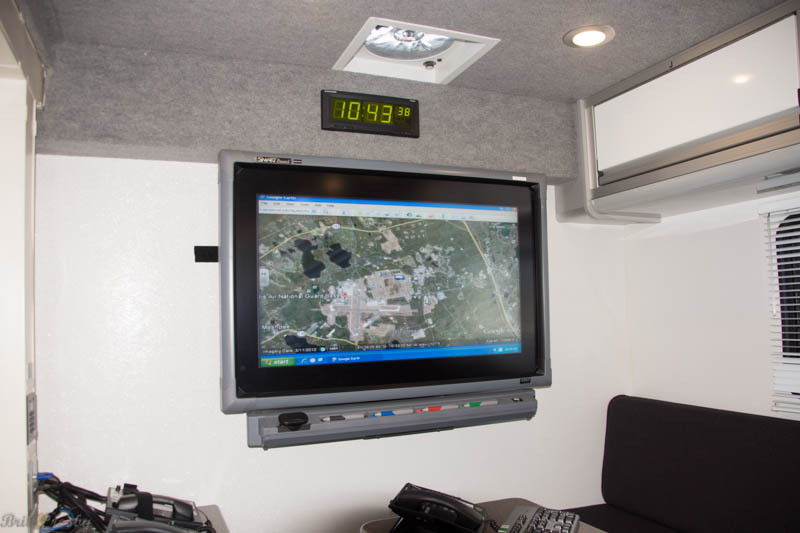 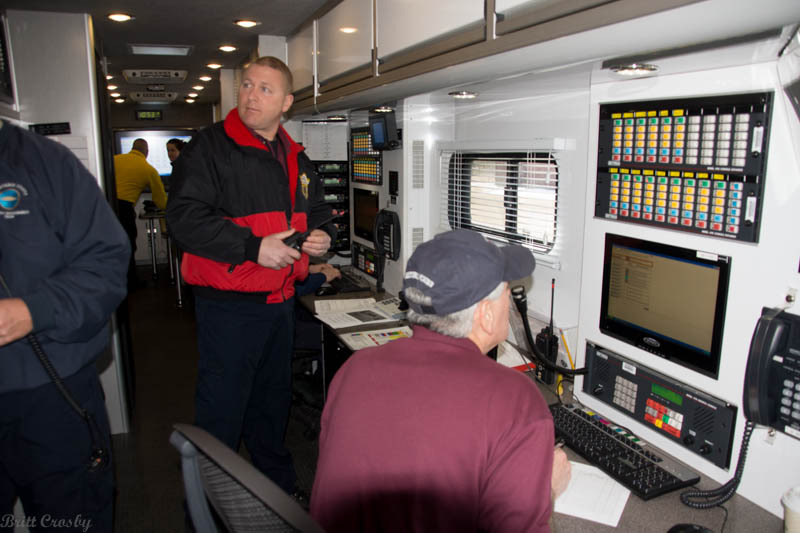 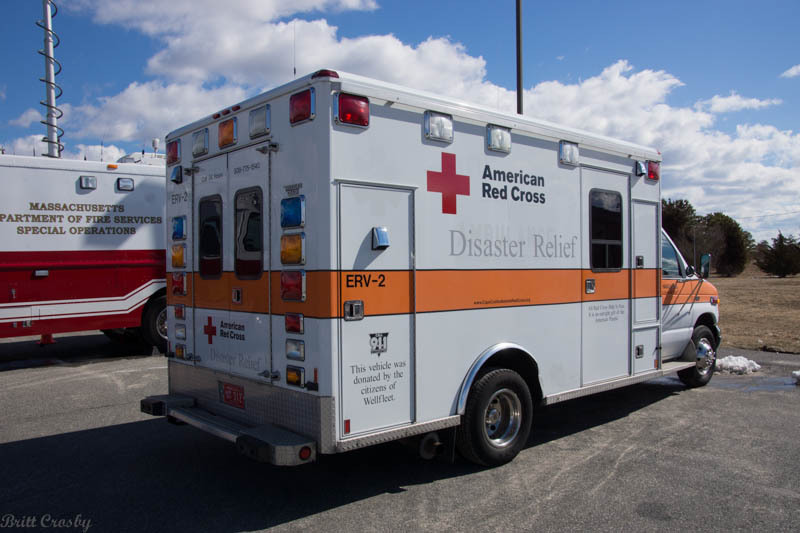 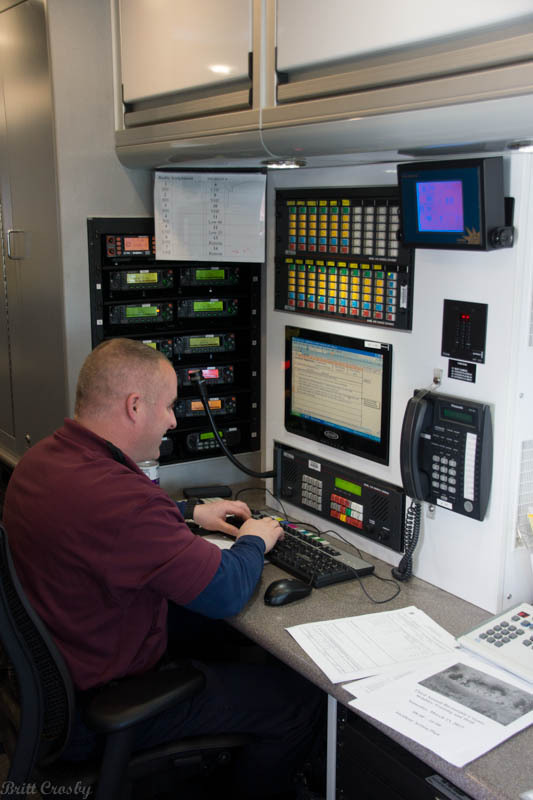 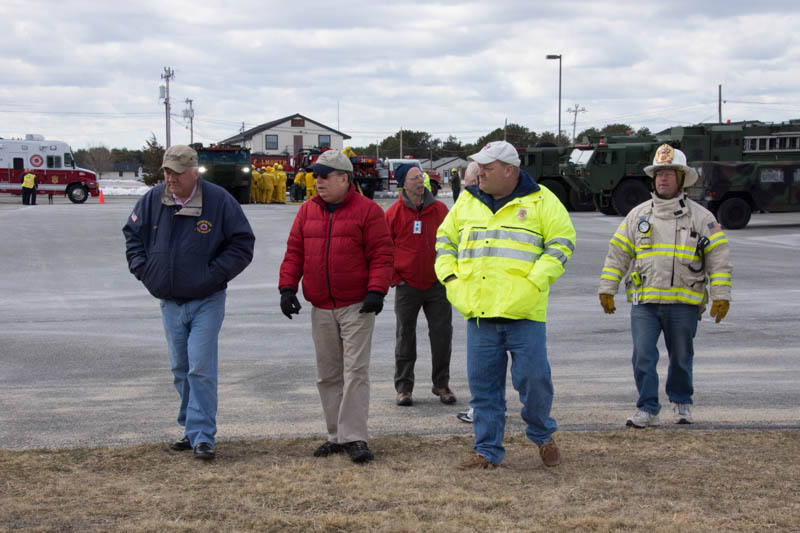 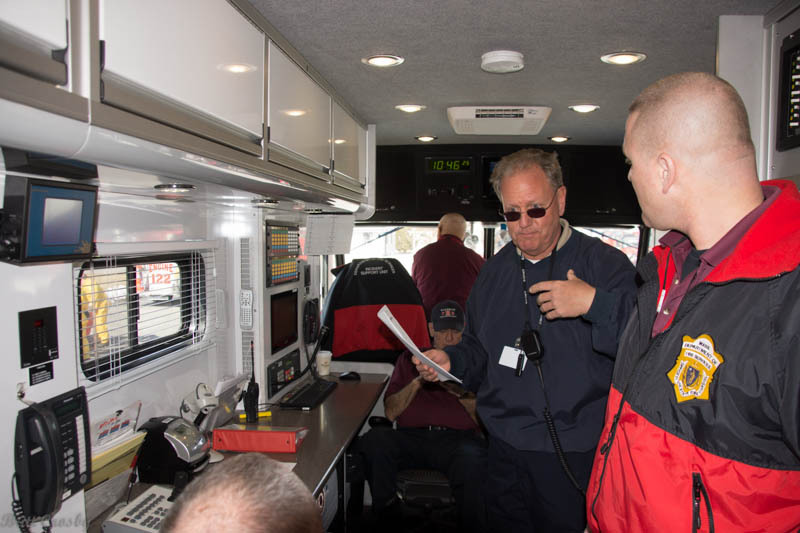 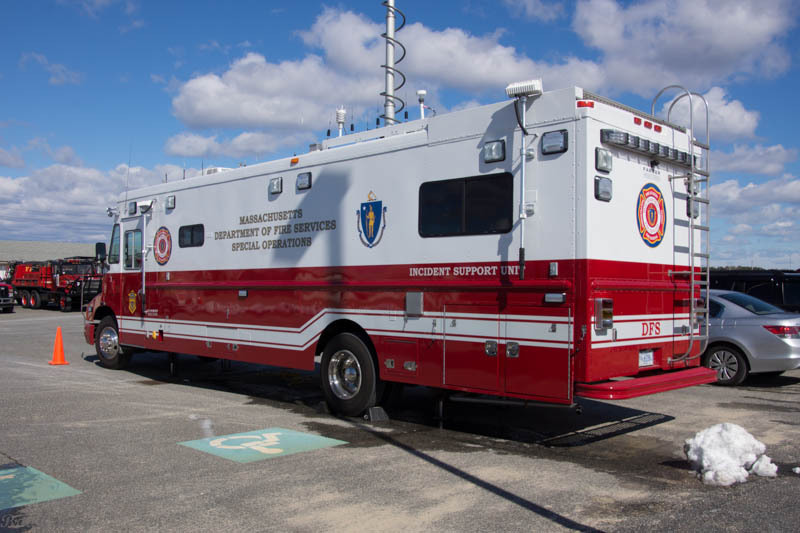 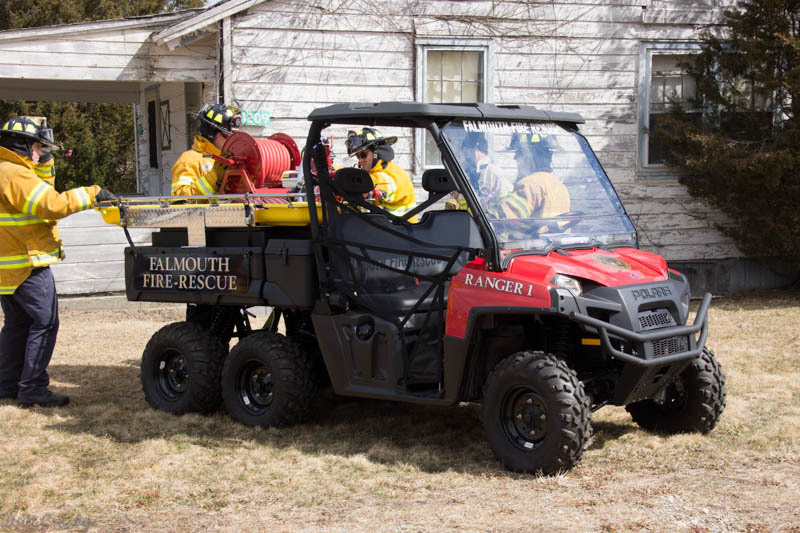 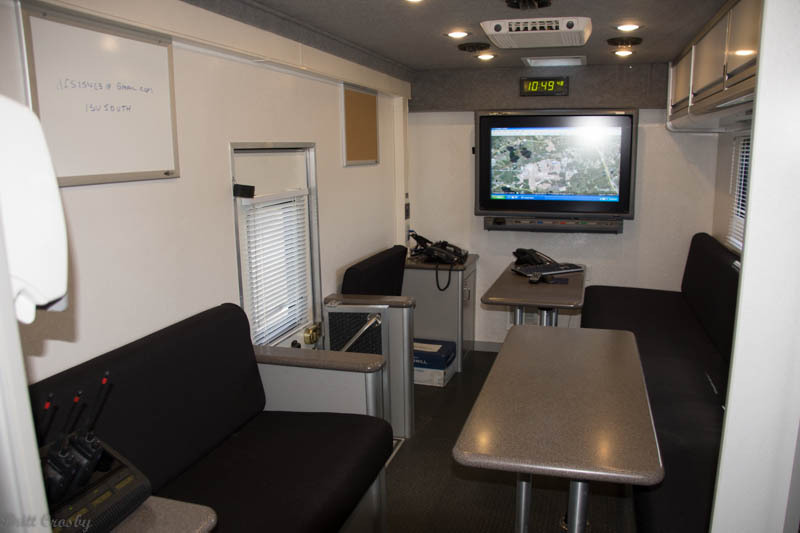 Barnstable County's Incident Management Team (IMT) was also participating. 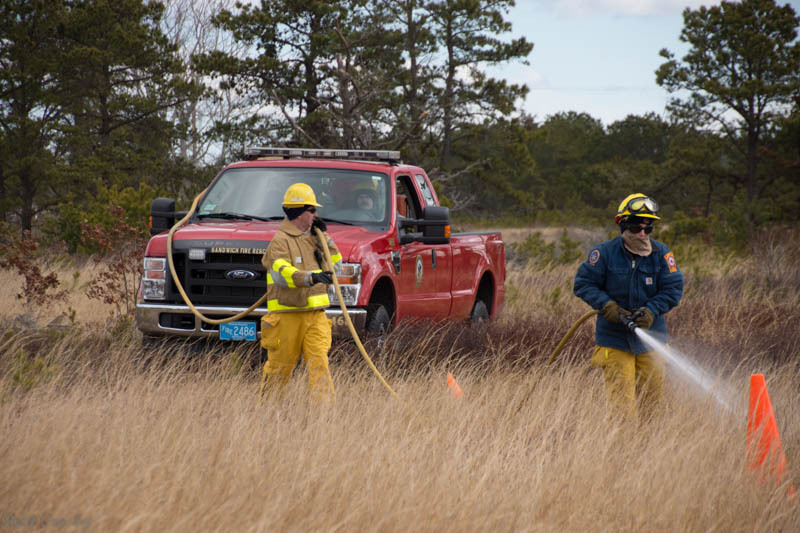 to prepare for the upcoming season.